It’s always fun to sit on the dais with some of the great thinkers in the world of tennis. 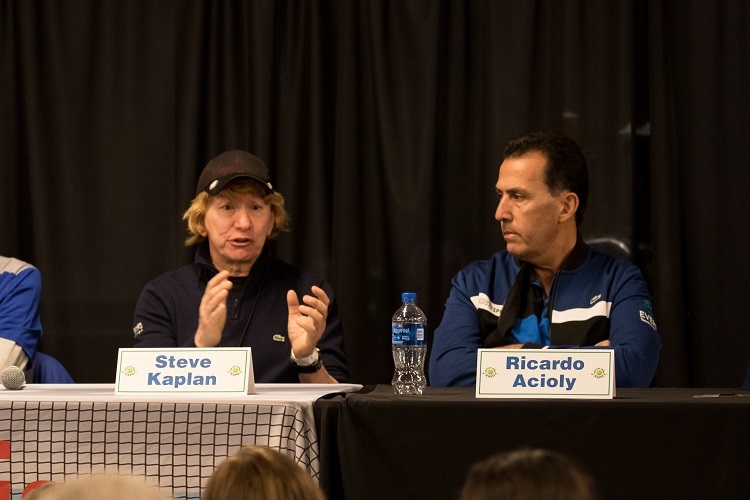 I was recently invited to participate in a panel discussion at this year’s New York Tennis Expo at NYCB LIVE. The panel consisted of Steve Johnson, the California-born powerhouse currently ranked 34th in the world; and Nick Bollettieri, the famed philosopher/coach who trained the likes of Andre Agassi, Maria Sharapova, Monica Seles and Jim Courier. Also on the panel was Brazilian tennis guru Ricardo Acioly; the psychologically-gifted tennis coach Jay Harris; serving mastermind Lisa Dodson; and the astoundingly bright tennis coach, Steve Kaplan of Bethpage Park Tennis Center. And then there was me. I tried desperately to fit in and not feel outmatched, but how does one compete with a panel full of superstars? The room was filled and they were asked to provide questions to each of us. Johnson was asked to describe what separated Roger Federer, Rafael Nadal and Novak Djokovic from the rest of the pack and Johnson made the wise comment that they do exactly what every other tour player does, but just a little bit better. He then made the interesting remark that when you play against these three, you do feel their aura which is also something you are playing against. Bollettieri, Dodson, Acioly are all highly experienced coaches and all made interesting comments. But there were two remarks made during our talk that are worth expanding upon in some detail. The first was made by Jay Harris in response to a question from a high school player who asked if it is wise to contact a college coach more than once. Jay answered that you show interest by contacting the coach on a weekly basis and that it would be a sign that you were enthusiastic and highly motivated. The other comment I want to mention was that of Steve Kaplan, in response to a question about what it takes to get to the top. Kaplan said that the three traits of the high achiever include optimism, perseverance and opportunism. He went on explain that optimism means that you believe in yourself and remain hopeful; perseverance means that you do not stop if at first you fail; and opportunism means that when an opportunity occurs, you take advantage of it. These are all sensible words to live by, and of course, if success were a mere matter of astute verbal instruction, then I would be out of business. The fact of the matter is that most athletes already know that optimism helps, perseverance is crucial and opportunism works. But exactly how does a parent, coach or therapist instill these traits in an athlete? 1. As many of the panelists remarked, each athlete is different and one must hone all interventions towards each individual, rather than make believe there is a cookie-cutter approach. 2. Spend most of your energy watching and listening to the athlete, rather than talking to them. 3. Support the natural intuitive instincts of the player and support their efforts. 4. Allow the athlete to ventilate frustrations. There is much healing that occurs when feelings are freely expressed. 5. Slowly and repeatedly build self-image, self-esteem and dignity. 6. Exercise patience with the athlete so that they see you are not frustrated with their progress. 7. Understand that building optimism, perseverance or opportunism is a gradual process that takes a long time, but is worth the effort. 8. Recommend movies, books or articles that explain or demonstrate these traits and discuss the stories after. 9. Reinforce remarks or behaviors that demonstrate optimism, perseverance or opportunism by the athlete. Anything short of this process is like saying to the athlete, “Don’t worry, be happy.” That little slogan makes a nice jingle, but in fact, doesn’t work in reality. If my experience as a sport psychologist has taught me anything, it is that learning to be a success takes time and support. To be a good parent, good coach or good sport psychologist takes patience, focus and willpower. 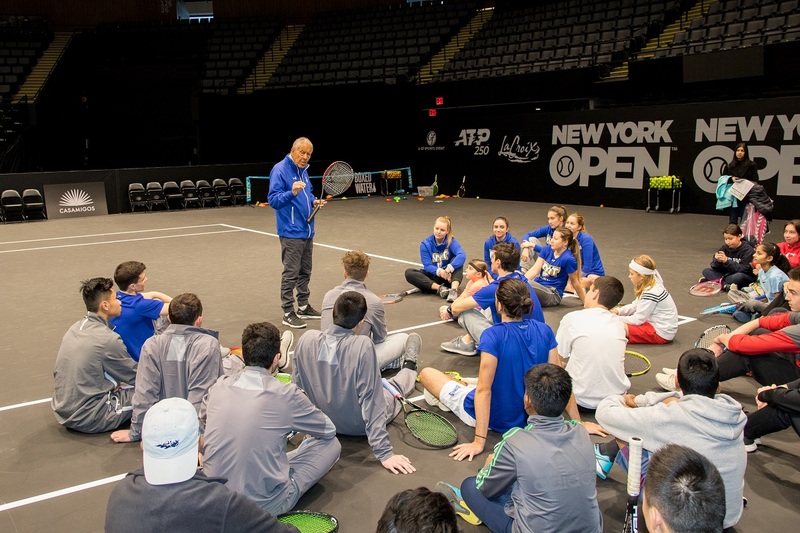 The successful coach is the one who is always optimistic, unendingly perseverant and opportunistic, just like all of the panelists I sat with at the 2019 New York Tennis Expo.